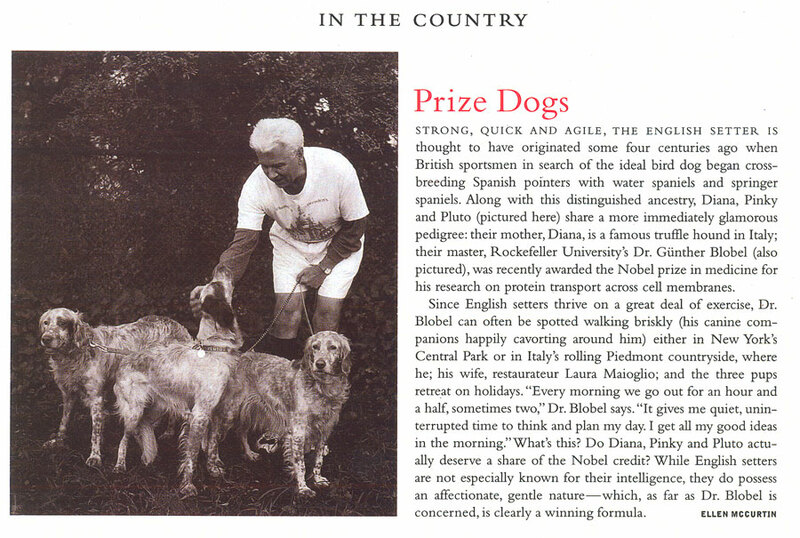 It is with great sadness that we at Barbetta report the death of our two remaining truffle-hounds, Pinky (Apollo) and Pluto, on December 11, 2010. 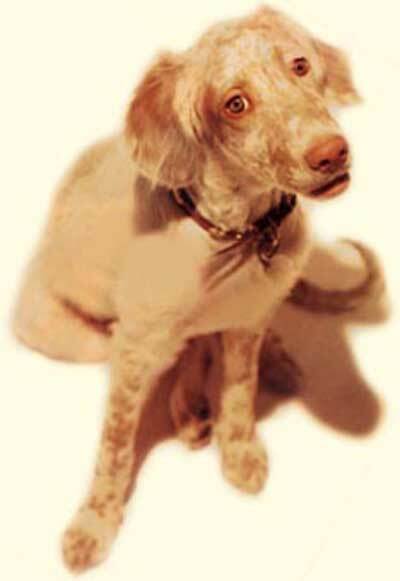 They join their litter-mate Diana who died in 2009 in truffle heaven. Pinky and Pluto were 16 1/2 years old, a remarkable age for English Setters and in great health according to Animal Medical Center where they were checked out almost every two weeks. But over the last few months they became unable to raise themselves on their hind legs, leading to enormous frustration on their part as they saw themselves no longer able to walk and move about. This is especially serious for dogs who as a breed are hunting dogs, for whom running is their greatest passion. When in Piemonte, for the truffle season, where they were born, they would run with abandon for hours through hill and dale, and when back in New York ran madly in Central Park for 2-3 hours every morning. They were well know in Central Park. We want to thank all the doctors at Animal Medical Center, Drs. Macina, Palma, Cook, Gerber and the others who provided excellent medical care over the years and also to thank Tino, their beloved caregiver at home, who in their youth and age in sickness and in health tended to their every need with tender loving care.